Cameras have come a long way ever since their inception. From large pinhole image machines to small handheld devices, the modern era has revolutionized the way we capture everyday moments. Today, the digital camera reigns supreme over all other image capturing devices with incredibly high-resolution settings and vivid colors that make every photograph come to life. 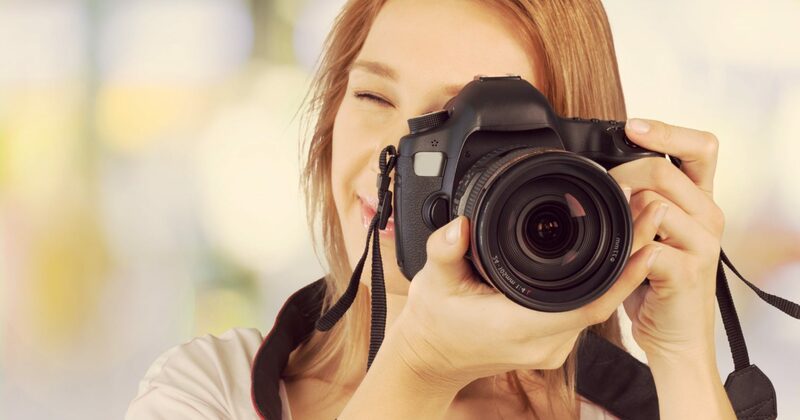 Whether you are a passionate photographer or just an individual looking to capture the special moments in life, a digital camera is what you need. 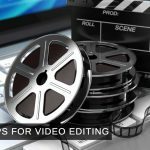 However, picking the right digital camera can be quite a difficult job especially because of the enormous variety that is available on the market today. 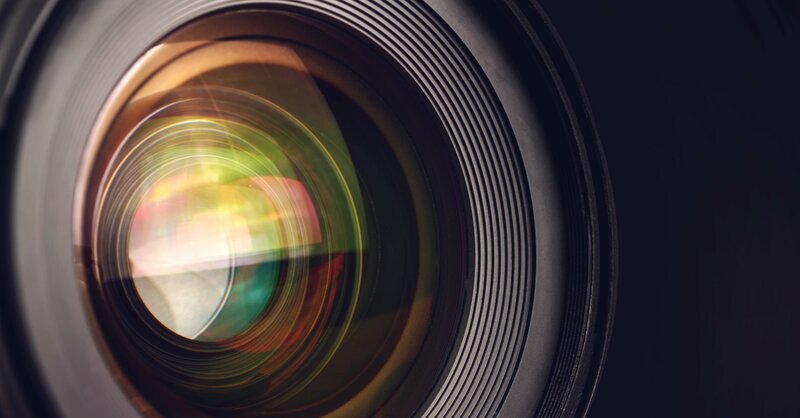 While there are countless options available, a simple step by step process of elimination (depending on your requirements) can help you find the perfect digital camera. 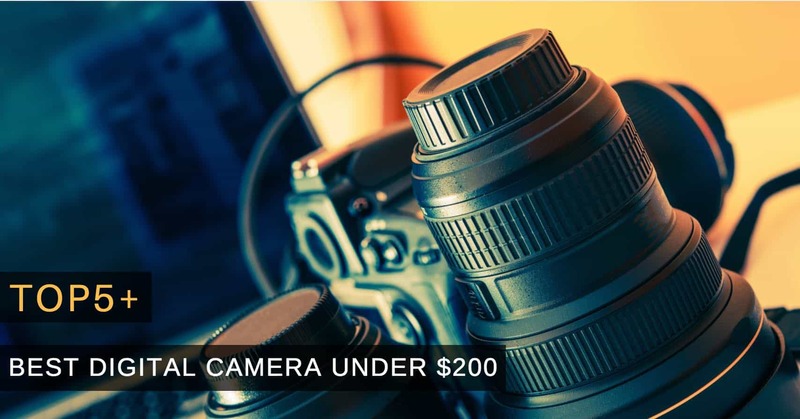 In this article, we discuss in detail the key components of a good digital camera and also review some of the best digital cameras under $200 price range. The PowerShot line of digital cameras is Canon’s best-selling series globally. The ELPH 350 HS is a spectacular compact camera that is well worth the money you spend on it. 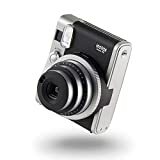 Highly portable and lightweight (at only 0.29 pounds), this digital camera features a resolution of 20.2 megapixels with the CMOS optical sensor technology for capturing images. The lens on the camera has a focal length of 25 – 300 mm (12x zoom capability) and an aperture of f/3.5-7. The battery is the reliable lithium ion cell that is rated at 3.6 V that can give you enough juice for 253 shots per charge. The display on the digital camera is a basic 3” LCD screen for previewing captured pictures. A classical camera manufactured by one of the oldest photography companies in the world, Fujifilm. 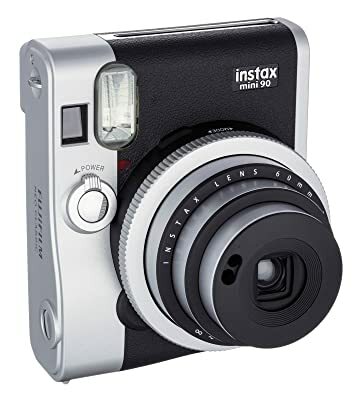 The Instax Mini 90 is more oriented towards the traditional style of photography with everything from the shape to the buttons imitating the cameras of the past. Moving on to the specifications of the camera, it has a sturdy body with a weight of 0.65 pounds (that makes it less portable than most others). The lens has a minimum focal length of 10 mm and an aperture size of f/12.7. 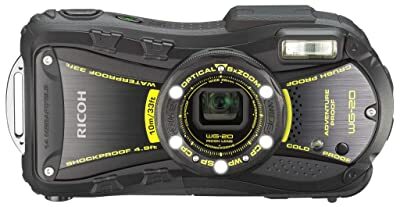 The digital camera also comes equipped with rich features such as automatic brightness detection (for controlling shutter speed), double exposure mode (for taking two images simultaneously), bulb mode (for capturing a light trail), and macro mode (for short distance photography or close-up portraits). The battery life is amazing and can give you up to 10 full packs of film on a full charge. While this might just not be the digital camera that you had in mind, it still manages to produce stunning images with incredible detail. An intelligent point and shoot camera that is perfect for capturing the most special moments in life. 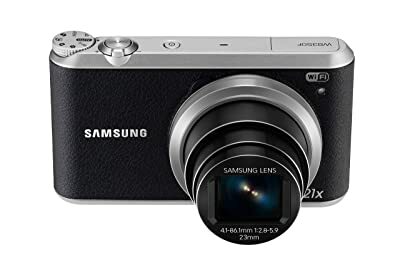 With features such as built-in Wi-Fi, NFC, social media upload, and automatic backup, the Samsung EC- WB350FBPBUS is a camera that has been shaped by modern day technology. Talking about the hardware on the camera, the lens has a focal length range of 23 – 483 mm (21x zoom capabilities) and an aperture of f/2.8-5.9 for sharp and crisp photography. The resolution is an impressive 16.3 megapixels with the capability to record 1080p videos. The fixed LCD display lets you browse through all the photos that you have taken instantly and the best part is that you can share them with friends and family right from within the camera itself! For storage, you can add in the expandable storage of up to 64 GB. The Lithium Ion battery also manages to impress with a rating of 310 shots per full charge. Underwater photography? No problem. Photoshoot in Antarctica? Not to worry. The Ricoh WG-20 is as robust as a camera can get. With heavy duty construction, this digital camera was made to be waterproof, shockproof, coldproof, and practically unbreakable. Featuring a resolution of 14 megapixels with a 28 mm f/3.5 lens and an optical zoom of 5x, this camera has more to it than just brawn. It can take crisp and vivid photographs even at a depth of 10 meters underwater! The fixed 2.7” LCD display gives you the opportunity to preview the images as soon as you capture them. Surprisingly, despite the rugged construction, the Ricoh WG-20 is very portable and weighs only a mere 0.32 pounds. Though it is not everyone’s favorite camera, we recommend the Ricoh WG-20 for anyone that is looking to use their camera outdoors casually and effortlessly. Innovation and portability are two words that accurately describe the GoPro Hero Session Camera. A simple, minimalistic camera that gives you the ultimate hands-free experience for capturing every moment in life. 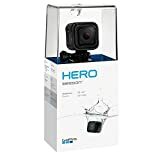 The Hero Session is a waterproof, reliable camera that can be placed anywhere you want without having to worry about the extreme conditions affecting the camera. Whether you are cycling or playing around with the kids, leave behind the fear of having to hold a camera in your hands at all times with the Hero Session. Featuring a resolution of 8 megapixels, the Hero Session camera is more oriented towards video shooting than anything else. With video recording of up to 1440p, you can easily use the one-button functionality of the Hero Session to capture yourself as you take on the challenges of life. The battery life is decent, but sadly, it is not user replaceable (which means that the option to carry around an extra battery is not available). 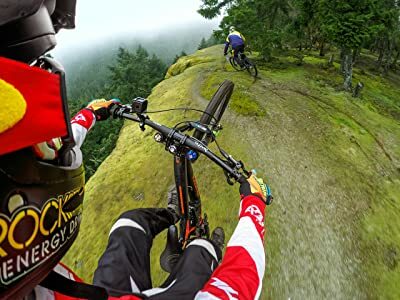 The GoPro Hero Session is recommended for individuals that want to keep a record of everything they do, without having to be behind the camera themselves. 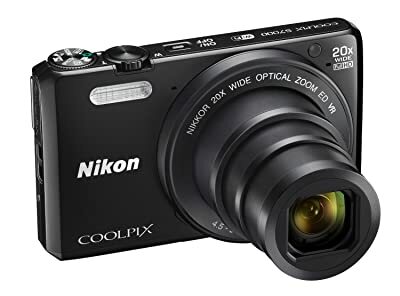 The Nikon Coolpix series is known for the high-end features that it offers within a small budget. The S7000 is no exception to this with rich functions such as 18 scene modes, autofocus, face detection, and contrast detection. The lightweight body combined with the ergonomic design make this digital camera easy and convenient to carry around with you everywhere. The resolution for the camera is 16.76 megapixels. The lens has a focal length of 4.5 – 90 mm (20x optical zoom) and an aperture of f/3.4-6.5. The Lithium Ion battery on the camera is fairly average with a rating of 180 shots per full charge only. 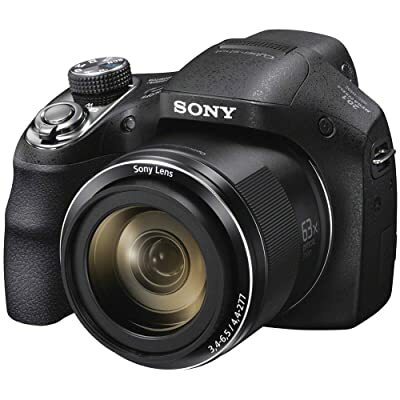 The DSC-H400 is a powerful and capable point-and-shoot camera from the elusive Sony Cyber-Shot series. With a comfortable hand grip, the camera is suitable for anyone that is looking for the extra bit of detail in their photographs. The feature that actually sets the DSC-400/B apart though is its optical zoom of 63x! With a focal length of 24.5 – 1550mm, the lens on this camera can pinpoint objects with excruciating detail from an incredible range. The aperture size is f3.4–6.5, and it can produce crisp, sharp results. 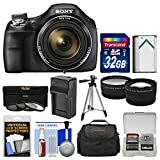 Intelligent functions within the camera such as optical image stabilization and photo-editing tools make this the ideal all-around package for individuals passionate about their photography. Not everyone that is looking for a digital camera needs to have an in-depth knowledge of camera specifications. In fact, you can get a fair idea of what to look for when buying a digital camera just by reading a simple guide (such as this). However, it is worth mentioning here that there is no best choice of the camera simply because it is more of a personal choice than a technical one. The weight and size of the camera itself are very important in determining the type of digital camera that you need. Carrying around a big and digital camera can be a commitment and one that not everyone is willing to make. If you are looking forward to casual photography for the special occasions, then we recommend that you look for a point and shoot camera that is highly portable and lightweight. The heavier and robust DSLR (digital single-lens reflex) cameras should be considered as an option for individuals that are passionate about their photography (and are willing to cart the extra weight). 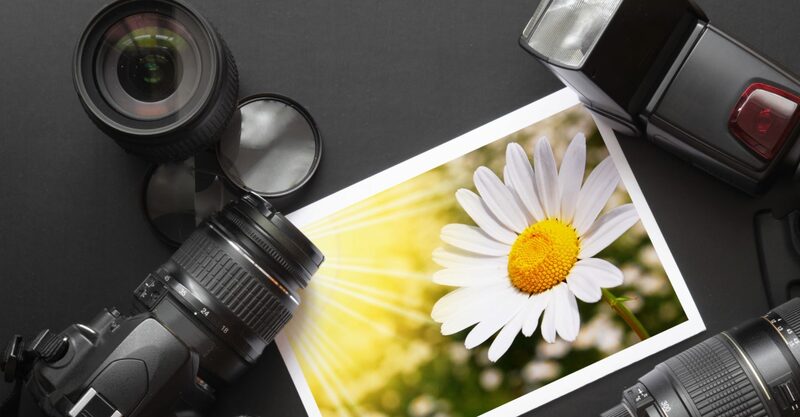 Commonly referred to as the pixels (or megapixels) of the camera, this is the specification that gives you a fair estimate of how your pictures will look like. The number of megapixels tells you how many pixels the digital camera uses to produce an image. Generally speaking, the higher the number of pixels, the higher the resolution of the output images of the digital camera. However, this specification does not define the quality of the images produced by the camera. Most modern day digital cameras have more than enough pixels. Just to give you an idea, though, the average digital camera today has a resolution between 10 megapixels and 50 megapixels (with the highest resolutions on offer in DSLR cameras). Ultra-wide angle (focal length less than 18 mm): For capturing large scenes where the distortion of the lens adds to the appeal of the photograph. Wide-angle (focal length between 18-30 mm): For capturing landscapes, group photos, street shots, or large general scenes. Regular (focal length between 30-70 mm): The standard kit lens include with most digital cameras, this is good for snapshots, portraits, and everyday photography. Telephoto (focal length of 70-300 mm): These lenses help in capturing crisp images from a distance. Typical applications include sports and wildlife photography. Super telephoto (focal length of more than 300 mm): A crisper and clearer lens for capturing distant images that allow you to zoom even further into objects. Unless you are a dedicated wildlife photographer or a private detective, you will not be needing this lens. The size of the opening that lets light into a lens is known as its aperture. The lower the magnitude of this specification, the larger the aperture of your lens. The zoom range (focal length) and aperture vary together and lens specifications generally mention them both together. Generally, you need to look for the widest apertures (specifications with least magnitude) for the best results. Wide apertures give you more control over the depth of the picture and hence, are better for photography purposes. To understand this specification, look for the number right next to the focal length of the lens. For instance, if a lens is listed to be 18-55mm f/3.5-5.6 then this means that it is widest at 18 mm and narrowest at 55 mm. The distance in focal length (18 – 55 here) tells you how quickly the aperture becomes narrow. You should look for a lens that has the widest aperture but does not become narrow too quickly! 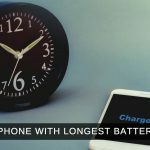 While it may not be the most important specification, the battery life is an essential aspect of a modern day too. 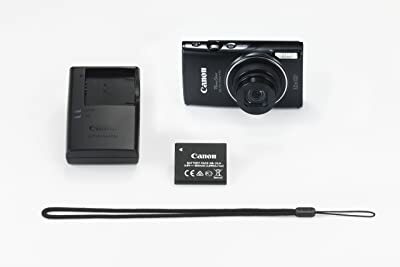 If you are looking to purchase a camera for the family holidays when you are likely to go hours without being able to charge your camera, then you should look for a camera that consumes less power. When buying the camera, take a look at how many pictures has the battery been rated for. This will give you a fair idea of how good the battery life is. Numerous other factors determine the quality of a digital camera, but none of them is as significant as the ones that have been mentioned. Understanding these specifications and combining them with your exact requirements will help you on your path to choosing the perfect digital camera for yourself. Modern day technology has redefined the camera to become a powerful device that can capture real life moments in a matter of milliseconds. Nowadays, cameras are more readily available to everyone than they were ever before in the past. However, this vicinity of cameras also makes it much harder to find the perfect camera. Digital cameras consist of some specifications that determine how well they will perform under certain conditions. There is some that blow you away with their outdoor performance, and there are some that are tailor-made for extreme condition. What ultimately matters at the end of the day is what you want from your digital camera.